Call me silly but I never knew, until recently, what a frittata was. Turns out it’s an open-faced Italian style omelette. It makes a great breakfast, is perfect for brunch or even lunch! The best part is that you can use whatever veggies you have in your fridge and just throw everything together. 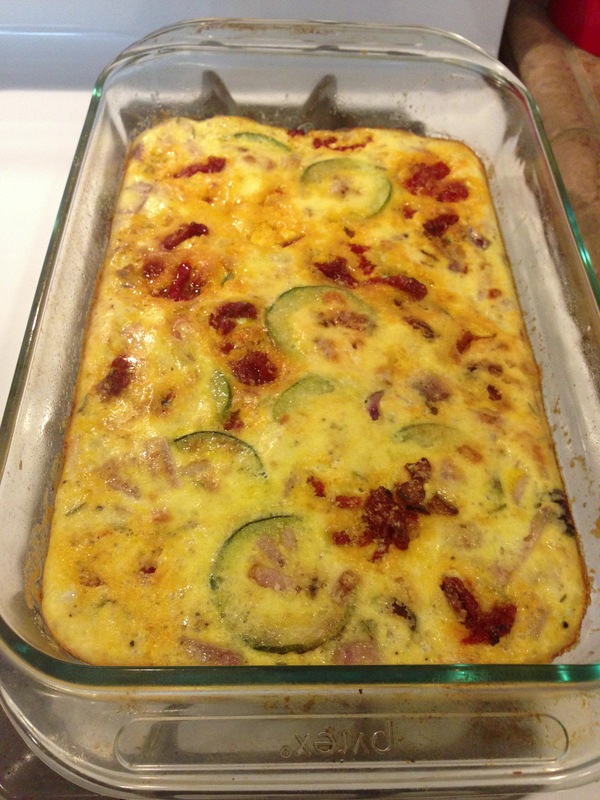 I used zucchini and rosemary from our garden, sun dried tomatoes, onions, and garlic for my frittata. The end result was delicious and I even had leftovers to take to work for breakfast the next morning. I think this would have tasted even more wonderful with some turkey bacon and cherry tomatoes.